Hales Gallery is happy to announce Σπήλαιο (Spilaio), its fourth solo exhibition with Dutch-born, New York-based artist Sebastiaan Bremer. The exhibition, taking its title from the Greek word Σπήλαιο (spilaio), meaning “cave”, will come to life through an amalgamation of various elements, objects and media combined to create a single large-scale installation occupying the entire space of the gallery. The exhibition will further explore the ideas from Bremer’s recent exhibition at MOCA Tucson in Tucson, Arizona (MOCA Bas-Relief (Mike-Papa-Bravo)). Using the Greek word for “cave” for the title of the show, Bremer hints at the mythical and almost sacred side of art-making – the faith in the final outcome upon the piece’s completion, the other side. In myths and folklore caves have long been regarded as entryways into the Underworld and as links to sacred existences. 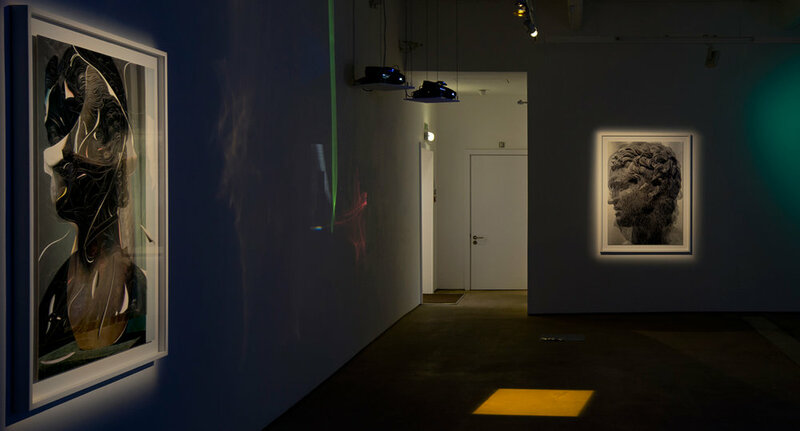 Σπήλαιο (Spilaio) is precisely that – an entryway into the different layers of Bremer’s practice and an exploration of his inspirations, from classical sculpture to totemic objects and modernist photography. All of these, either in spirit or in form, will be present in the final installation. For his 2-dimensional works, Bremer employs various techniques to distort and change the image and the surface of the photograph: cutting and carving away sections of emulsion, which are then backfilled with paint, or using ink and photographic dyes to produce fine patterns of lines reminiscent of cobwebs or readings from seismographs. 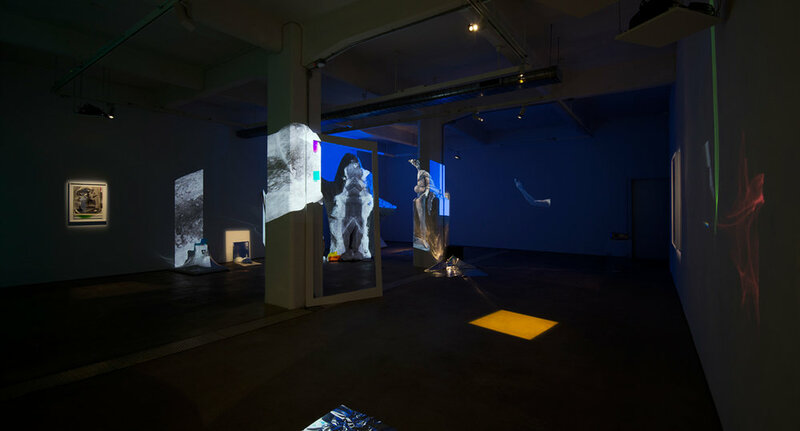 For Σπήλαιο (Spilaio), this layering of mediums on a 2-dimensional surface of a photograph will be recreated in the space of the gallery, with the installation acting as a 3-dimensional realisation of the artist’s 2-dimensional photographic pieces, brought to life through a blending of modernist and prehistorical influences and layering of objects and media. For Σπήλαιο (Spilaio), Bremer will transform the gallery into a mystical and dark cave or grotto-like space, inhabited by artist-made, industrial and found objects as well as image projections which also act as the only source of light. For Bremer, none of the objects in the work, seemingly selected at random, are accidental. All of them, together with the piece that they create, are part of a journey – a well-situated path where each encounter is symbolic and bears significance. Each of the items has a unique history and background: from building materials, metal wires, glass and papier mâché to sea shells and artefacts found on the bed of the river Thames, each of them carries a unique aura which contributes to the creation of the communal being. Now, like in Plato’s ancient Greek allegory of the cave where shadows of the objects are confused for their real essence, the shadows in Σπήλαιο (Spilaio) deceive the eye creating an image constructed from different layers, making the viewer question the levels of reality within the space. 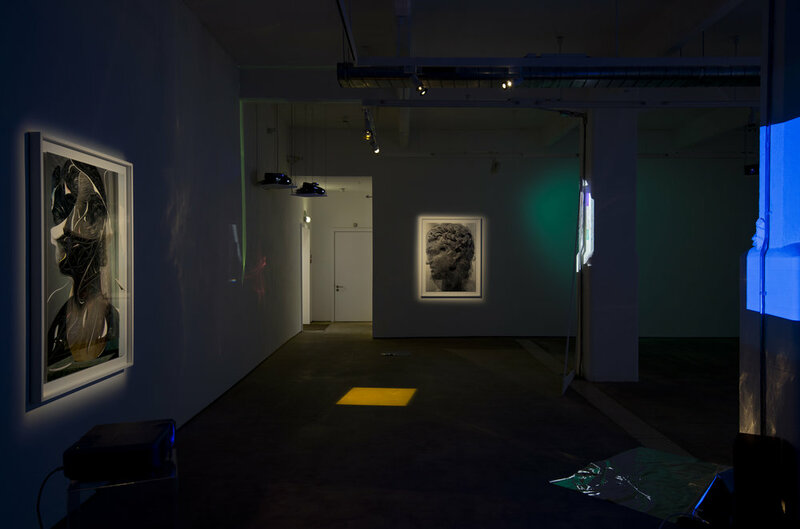 Objects, other media, art-historical and mythological references come together to create a collage which can be experienced both 2-dimensionally (as projection and shadow) and 3-dimensionally (as the inhabited space), encompassing the viewer into the work. Bremer commissioned composer Josephine Wiggs to write the audio component of his multi-media installation. Just as Bremer manipulates objects and surfaces to create new layers of meaning, here sound, perceived at first as perhaps the hum of a machine--the audio equivalent of a found object--is manipulated, layered and transformed, given contour and pattern, a new intention.